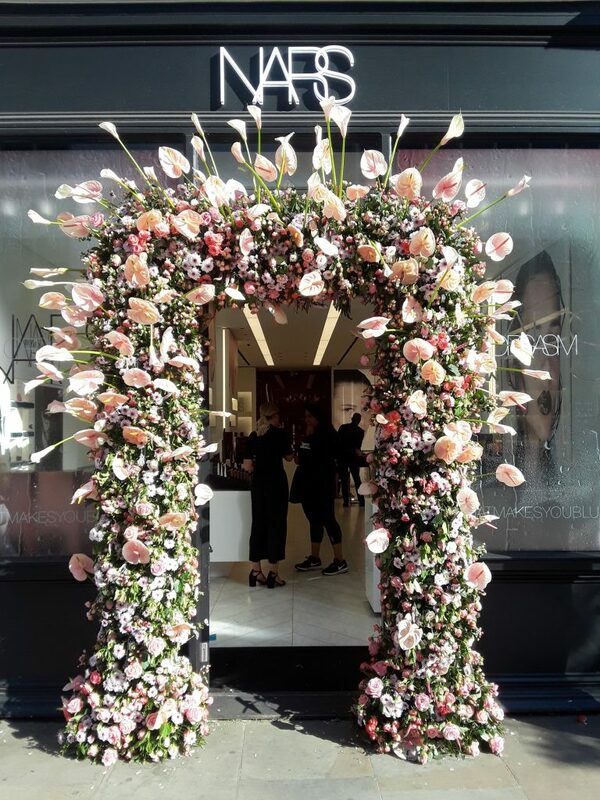 My fabulous jet-set stepsister, Erica, just returned from London where she attended the hottest event in England, second only to the royal wedding–the 2018 Chelsea Flower Show. 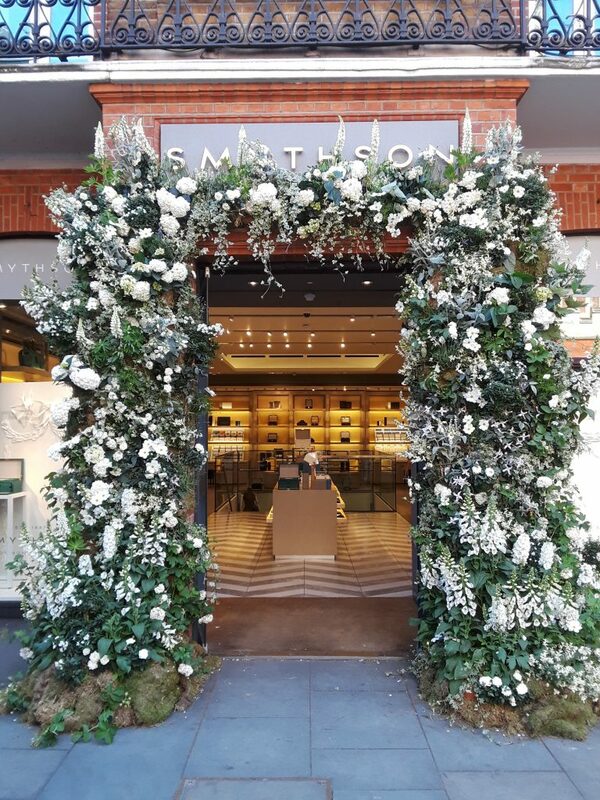 Since this annual Royal Horticulture Society event has long been on my bucket list, my sister graciously agreed to share her photographic impressions of her trip with me and my readers. 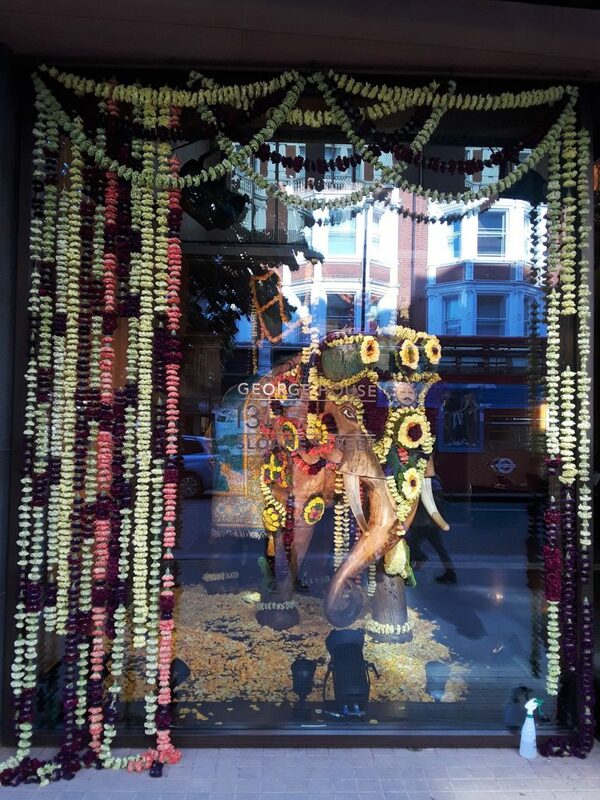 Now, my girl is not about to spend several days in London without doing a little (or a lot of) shopping. 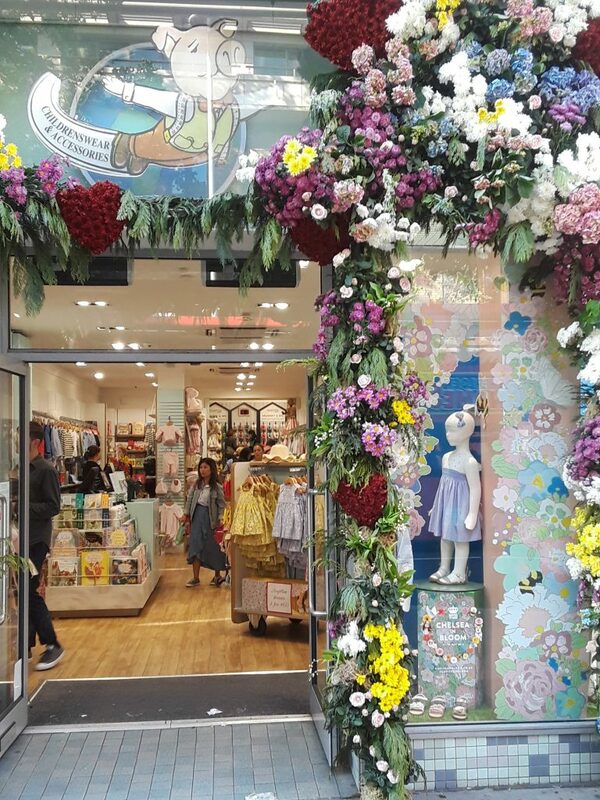 However, she still was able to get her floral fix while pursuing a little retail therapy. 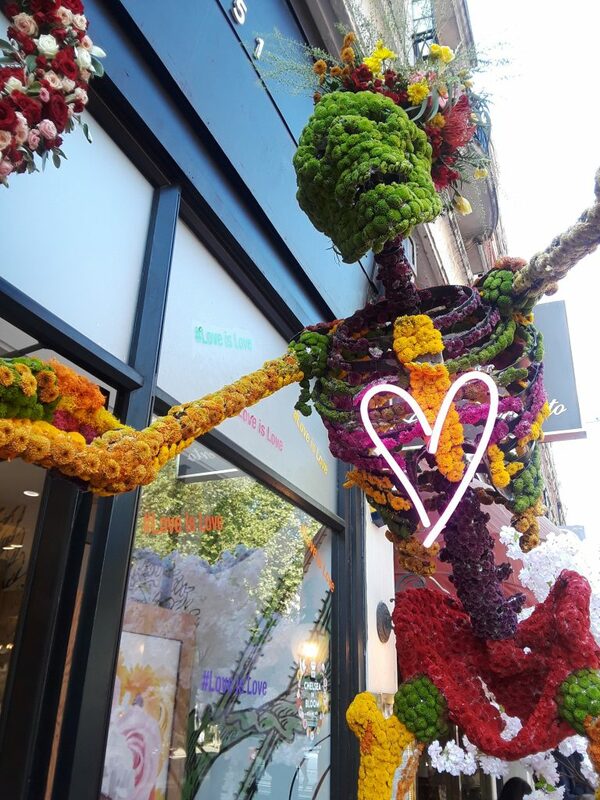 In fact, she engaged in some awesome flower-power-shopping because the Sloan Square shops in Chelsea get into the spirit of the famous flower show with their own alternative floral art competition called Chelsea In Bloom. 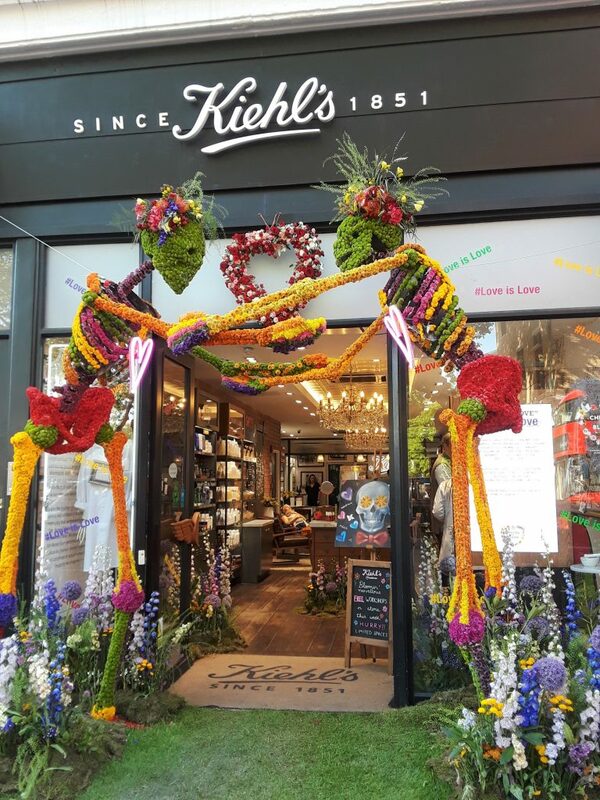 The theme of this year’s Chelsea In Bloom was inspired by the Royal Wedding and the 1960’s “Summer Of Love.” More than 60 retailers, restaurants, and hotels joined the competition to adorn their shopfronts with the most spectacular floral display. 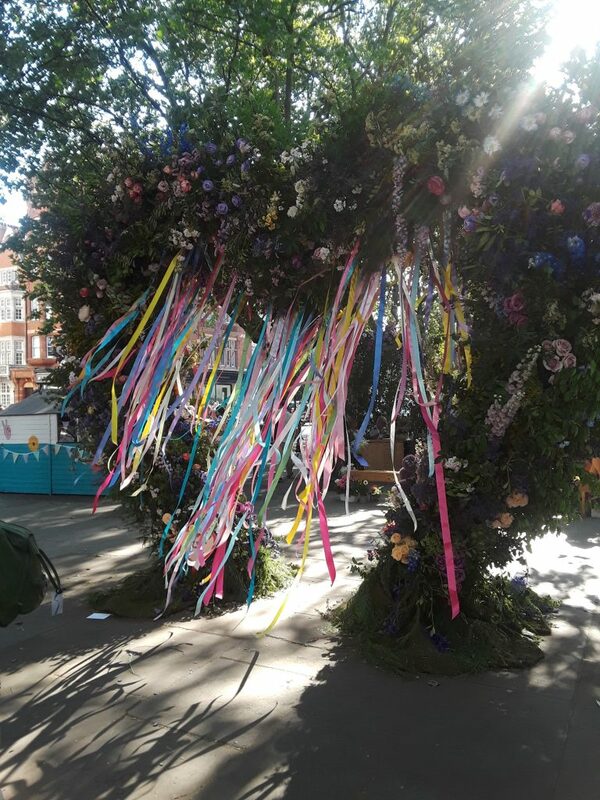 So, put on your sandals and love beads and walk through the “Tunnel Of Love” into the wonderland of Chelsea In Bloom. 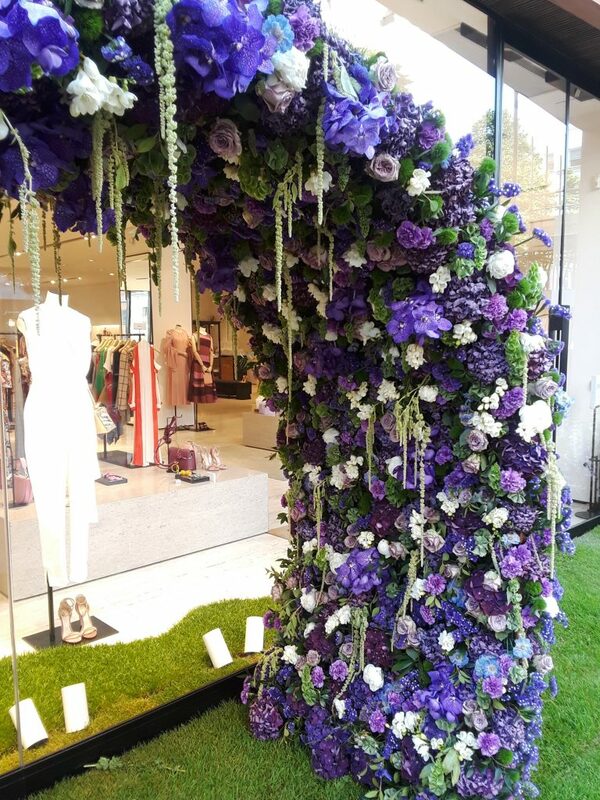 Purple passion floral arches flow around the entrance of Boutique 1. 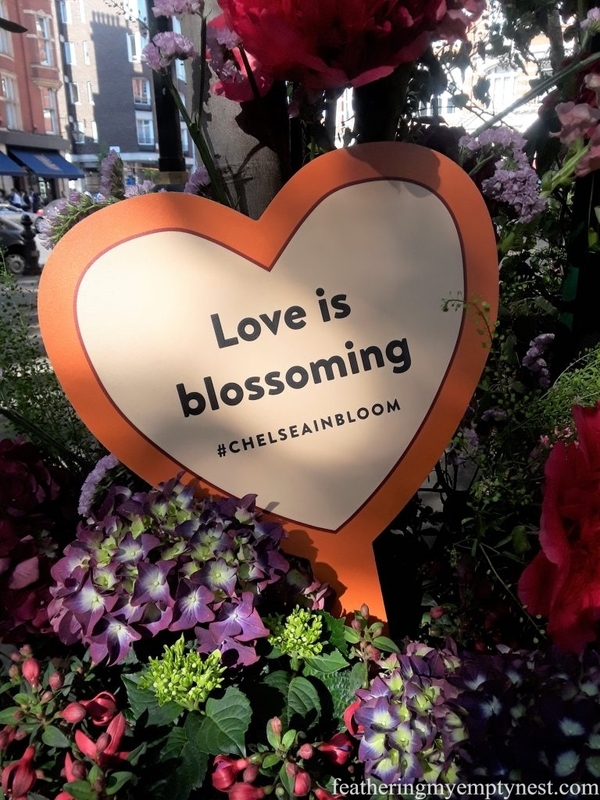 To see more of the entries and the winners, check out the official site for Chelsea in Bloom, Summer Of Love. 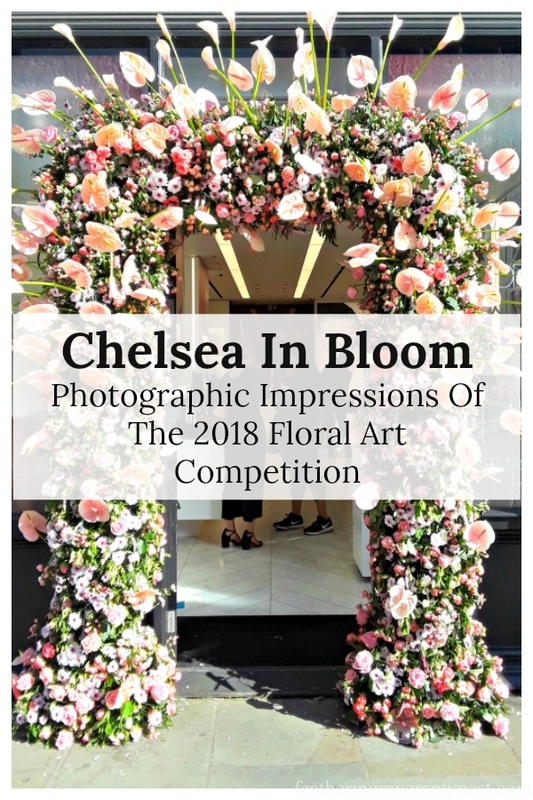 And see Erica’s photos from the 2018 Chelsea Flower Show in an upcoming post. WHAT! I am in heaven! I am going one day! 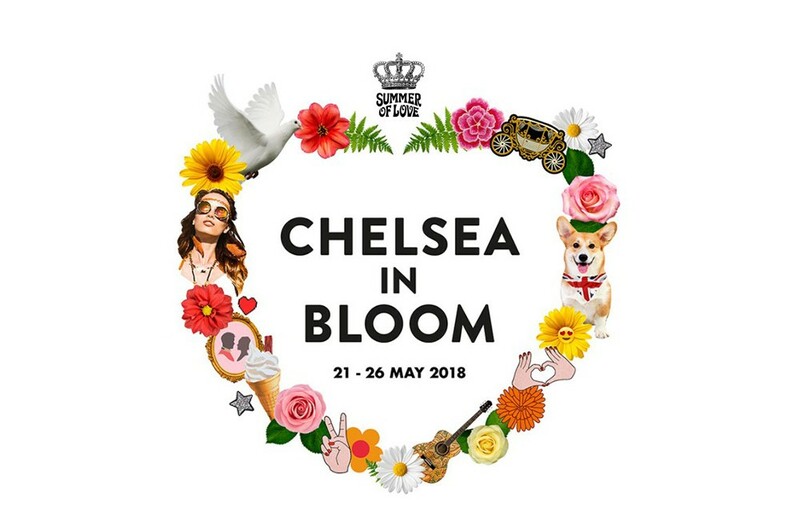 I had never heard of Chelsea in Bloom before, so I will attach it to the Chelsea Flower Show trip. 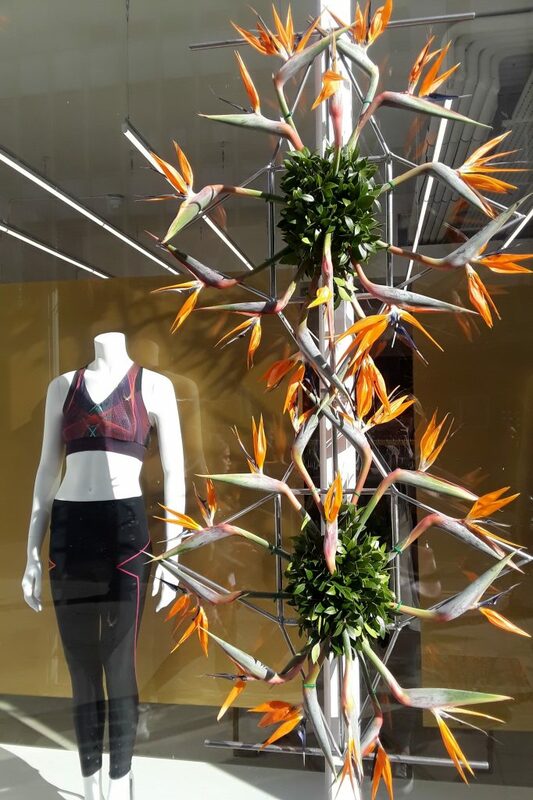 I love to see creative art applied with flowers. Some of the entries reminded me of the Rose Parade (stationary). Thank you Lisa for making me smile today! 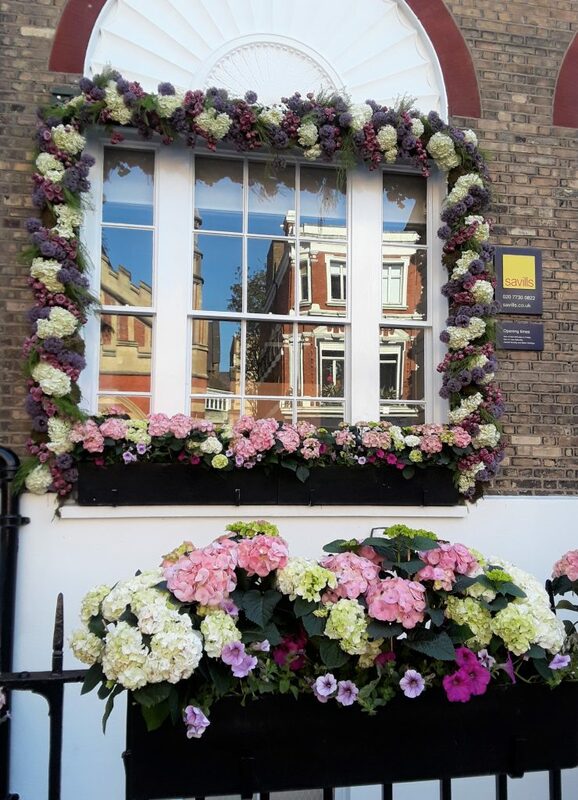 I am so pleased you enjoyed Chelsea In Bloom. I didn’t know about it either until Erica sent me her pics. I thought it was really fun. This was the 13th year of the CIB competition. If you are interested, you can look up images from past years. 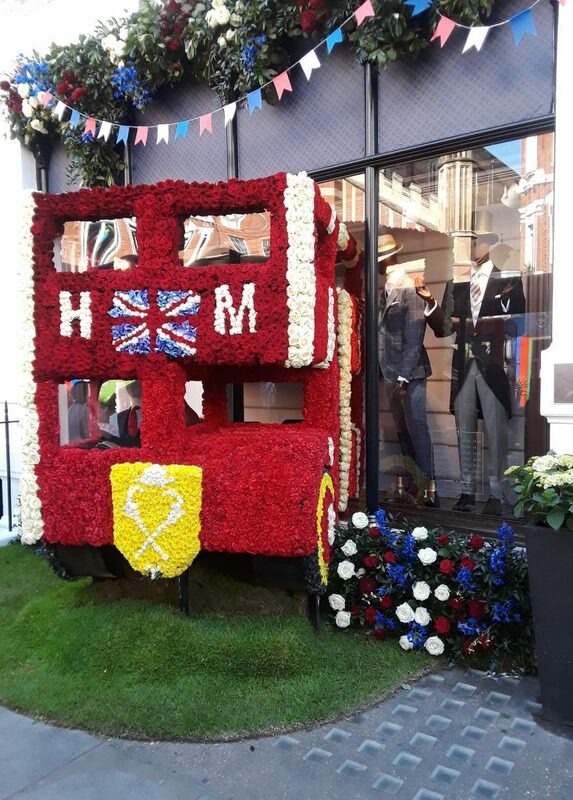 Each year, they have a different theme and some of the entries are just astonishing. Hope you have a great week! It was truly fabulous.!! 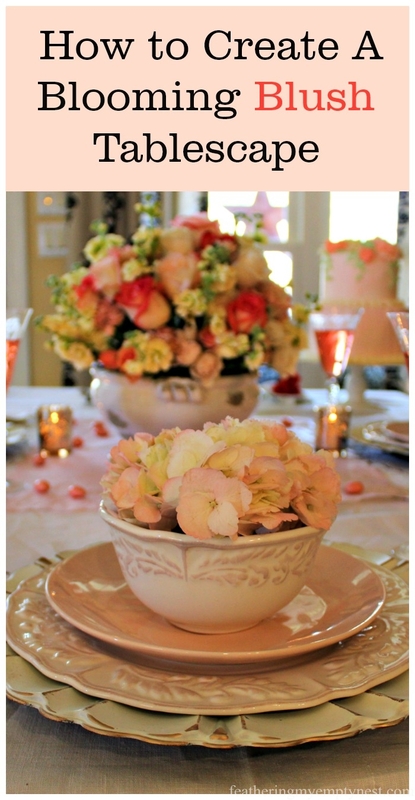 Your blog reminded me of a perfectly beautiful time. Thanks so much for sharing. Thanks so much for commenting, Cathy. Erica’s pics were so great. You guys are lucky ducks! Thanks so much for commenting. The skeletons actually were my favorite too! 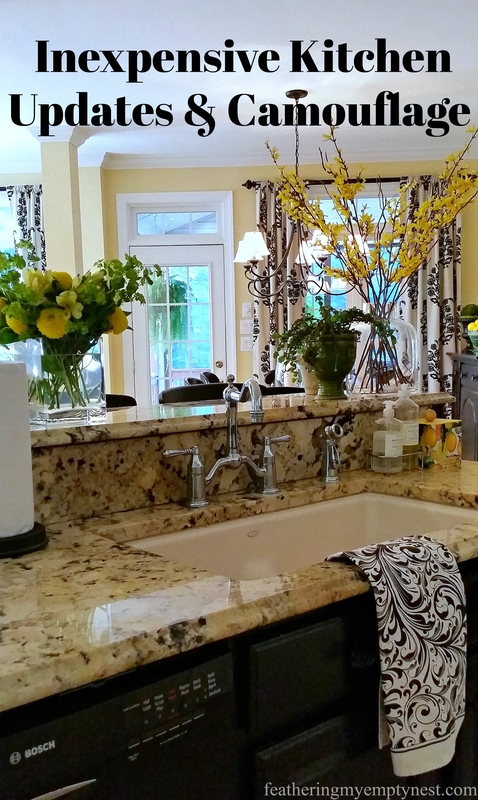 So delightful! How exciting to have been there! Thank you so much for commenting. 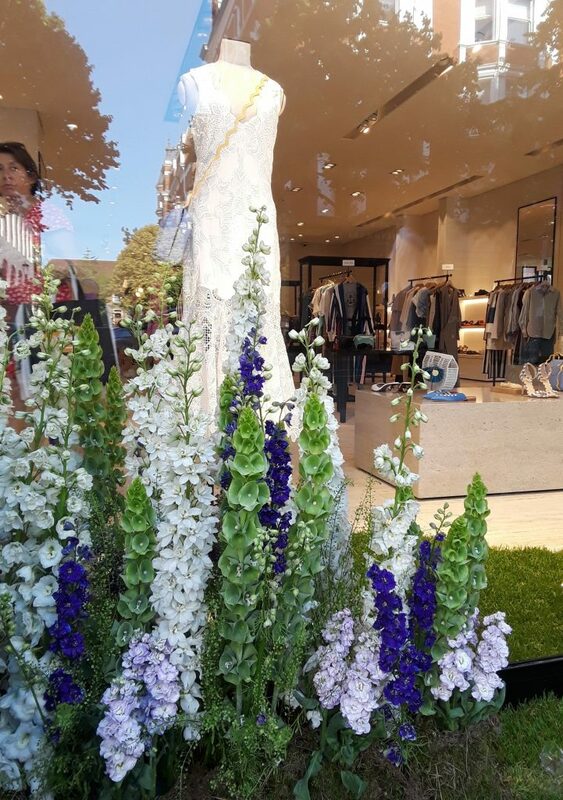 Flowers and shopping what could be better? 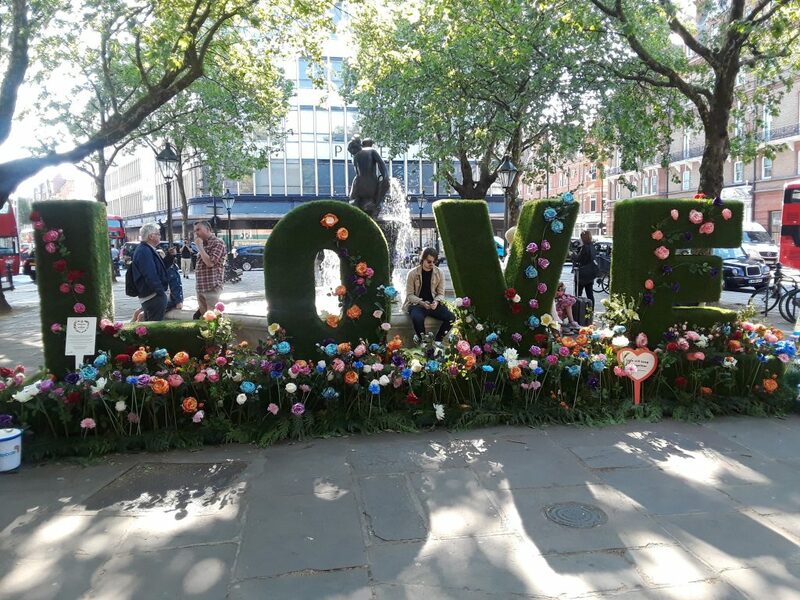 Thanks so much for taking the time to comment I am glad you enjoyed the Flower Show.